^ "NLĐO – Bat dong san Ha Noi soi dong ~ Bất động sản Hà Nội sôi động – KINH TẾ – TIÊU DÙNG". Archived from the original on 2008-02-21. 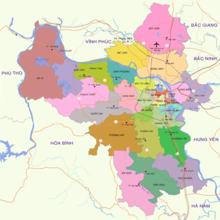 ^ "Hanoi's four key infrastructure projects put into use". 2015-01-05. Archived from the original on 17 May 2017. Retrieved 18 April 2017. ^ Van Arkadie, Brian; Mallon, Raymond (2004). Van Arkadie, Brian; Mallon, Raymond, eds. 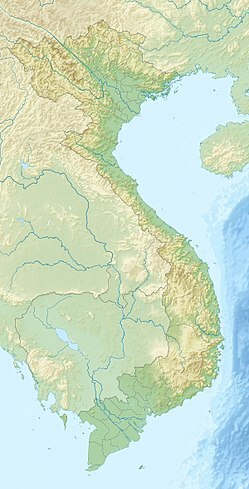 Viet Nam — a Transition Tiger?. Viet Nam — A Transition Tiger?. ANU Press. pp. 224–234. ISBN 978-0731537501. JSTOR j.ctt2jbjk6.22. ^ Plevin, Julia (2009-09-26). 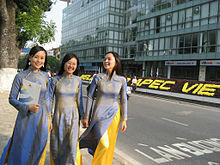 "Notes on Hanoi, Vietnam". The Huffington Post. Archived from the original on 21 November 2016. Retrieved 30 April 2017. ^ "TripAdvisor's picks: World's top 25 destinations". 2015-03-24. Archived from the original on 24 June 2016. Retrieved 28 June 2016. ^ "TripAdvisor picks world's top 10 destinations". 2016-03-21. Archived from the original on 29 June 2016. Retrieved 28 June 2016. ^ "Caught the bug yet?". Restaurants in Hanoi. Restaurants in Hanoi. 2011-08-03. Archived from the original on 18 December 2013. Retrieved 4 November 2012. ^ "Hanoi plan to ban motorbikes by 2030 to combat pollution". BBC News. 2017-07-04. Retrieved 2017-07-05. 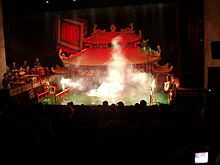 ^ "Hanoi strengthens ties with Ile-de-France". Voice of Vietnam. 2013-09-27. Retrieved 2018-05-04. 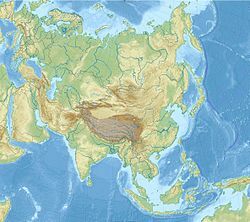 This page was last edited on 18 April 2019, at 09:39 (UTC).